Excellent Post from Daily Muse ( Debra Taitel ) – Such great insight and wisdom! 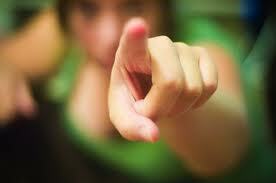 Are you blaming someone or something for your current experience? Of course it’s THEIR fault! It’s the economy, family, your boyfriend or girlfriend, how you were brought up.. .who did it TO you. These are just a few of the “outer” situations or people we tend to “blame” when things become challenging in our lives. The problem is blame will never get you anywhere. Blame means a part of your valuable energy is stuck and holding on to the past. Blame means not taking responsibility for any part of the situation. It also takes forgiveness and healing out of the picture.